If you or someone you care about is facing criminal charges in Colorado, you likely have questions about your legal options and what to expect moving forward. 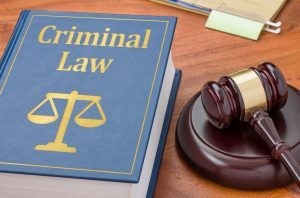 On this page, the Denver criminal defense attorneys at Wolf Law address some commonly asked questions about arrests, formal charges and the criminal justice process. If you’re ready to discuss your situation with an experienced criminal defense lawyer, please call Wolf Law today at 720-479-8574 or contact us online for a free consultation. Q: What types of criminal cases does Wolf Law handle? Criminal law covers a broad range of situations. For a detailed list of case examples, please see our Practice Areas page. Q: Can I contact a lawyer on behalf of someone else who is facing criminal charges? A: It’s common for family or friends to reach out on behalf of loved ones who are confronted with criminal charges. At Wolf Law, we welcome you to contact us for a free consultation to help you understand potential courses of action, and we can take the lead on building a strong case if your loved one decides to retain our services. Q: Should I talk to law enforcement if I’m being investigated for or have been charged with a crime? A: Don’t answer any law enforcement questions without speaking to a knowledgeable criminal defense lawyer first. Whether you’re being investigated for a crime or have already been charged, you have rights; those rights include the right to remain silent and obtain the services of an attorney. Any statements you make to law enforcement could be used against you in a criminal case. 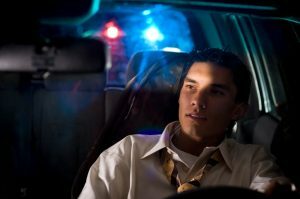 Q: What if I wasn’t read my Miranda rights when I was arrested? Will my case be dismissed? You have the right to remain silent. Don’t answer law enforcement questions without first speaking to a criminal defense lawyer. And make sure to tell your attorney if arresting officers fail to issue a Miranda warning. Law enforcement officers are generally required to notify criminal suspects of their Miranda rights upon taking suspects into custody. However, if police fail to provide this warning it doesn’t mean the suspect is free and clear of criminal charges. It simply means that prosecuting attorneys will not be able to use statements made by the suspect as evidence. Conversely, once the Miranda warning has been issued, anything a suspect says afterward will be admissible in court. 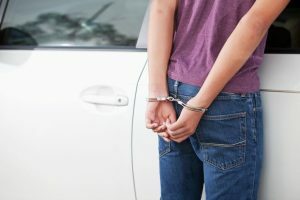 If you were arrested and taken into custody without being notified of your Miranda rights, it’s important to mention this to your criminal defense lawyer. Q: If I’ve been charged with a crime, how soon should I contact an attorney? A: It’s in your best interests to contact a lawyer as soon as possible after your arrest. Depending on the charges, an attorney may be able to secure your release from jail or argue for a reduced bond. It’s advisable to contact a criminal defense lawyer as soon as possible after arrest. While there’s no hard deadline for hiring an attorney, the earlier in the process you have a lawyer on your side the better. Retaining an attorney before your arraignment will allow time for your lawyer to investigate your case and build a thorough defense on your behalf. Q: Should I hire an attorney if I plan to plead guilty to criminal charges? A: Even if you plan to enter a guilty plea, working with an attorney has its advantages. For example, a skilled criminal defense lawyer may be able to negotiate for reduced charges and minimize subsequent punishment. Q: Can Wolf Law guarantee an outcome on my case? A: No. It would be unethical for any attorney to guarantee an outcome to a case, although some lawyers make promises they can’t necessarily keep. This isn’t because they’re bad attorneys or bad people, but because many facts remain unknown after the initial contact between clients and their lawyers. The full facts relative to a case can’t be known or interpreted until an attorney is hired and begins the discovery process. During your initial consultation with Wolf Law, we can provide an idea of what to expect, but we can’t guarantee a specific outcome. Beware of attorneys who make such promises. If you or a loved one is facing criminal charges in Colorado, the Denver criminal defense attorneys at Wolf Law are ready to hear your story. Call us today at 720-479-8574 for a free case consultation or contact us online.